My father, Pat Dorsey, developed the original Black Beauty in the early 90s. 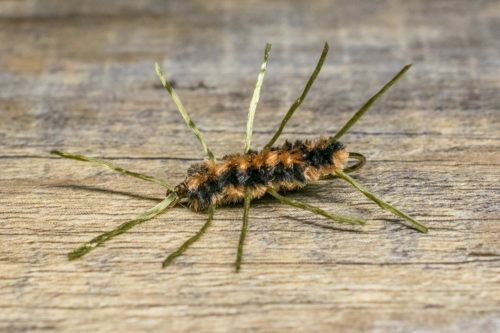 It was designed to imitate the heavy concentrations of midge pupae found below deep, bottom-release western reservoirs such as the South Platte, the Blue, and the Williams Fork River. 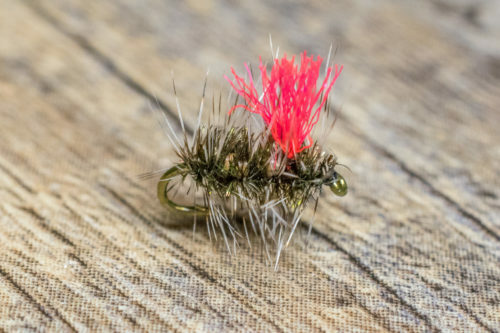 In its infancy, the Black Beauty had no name – it was just a generic black midge pattern that had earned a spot in my dad’s fly box because it was easy to tie, durable, and, most importantly, it consistently fooled hard-fished trout. 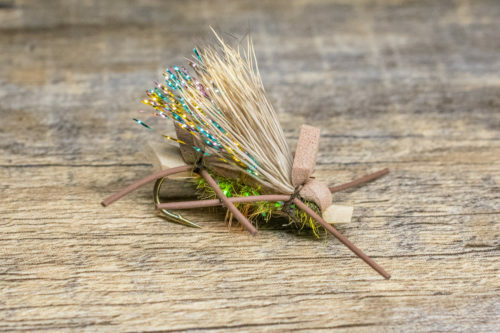 He considered it to be one of his favorite guide flies for obvious reasons! In March 1992, Bob Saile, Scott Ratcliff, and my dad came up with the name Black Beauty after a memorable trip on the Blue River. 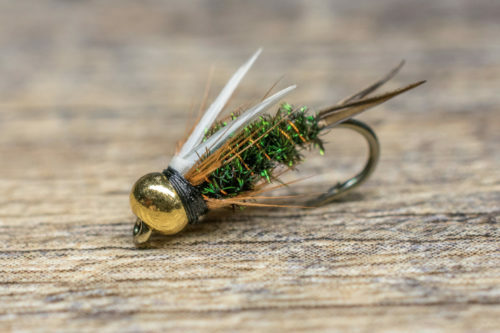 I’m sure many of you are familiar with the Blue River, but for those of you who are not, the Blue is one of the more technical tail water fisheries in Colorado. It requires anglers to bring their A-game each time they visit the area. Why was that trip so memorable you ask? Because on that particular trip to the Blue River, Saile, Ratcliff, and my father caught more Mysis-fed trout between 16 and 20 inches than ever before, and maybe even after! Fortunately for us, in a Mysis fishery, when there is a short fall of shrimp exiting the base of the dam, the fish become traditional tail water trout keying on tiny midges and mayflies. That day, Saile landed an 8-pound rainbow on the still “unnamed black midge” in a deep slot right below the I-70 Bridge. Saile’s rainbow measured 26 inches and had an 18-inch girth. It was an impressive rainbow to say the least! 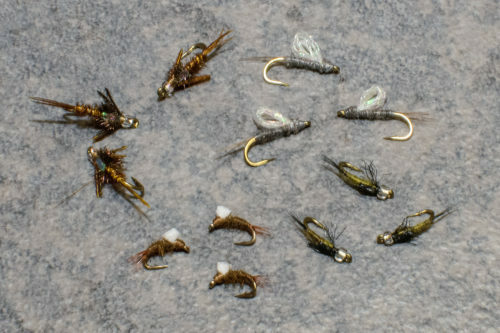 On their way home from the Silverthorne area, Ratliff said, “We really caught some real beauties today. You ought to call your little black midge the Black Beauty.” The name stuck and the rest is history! 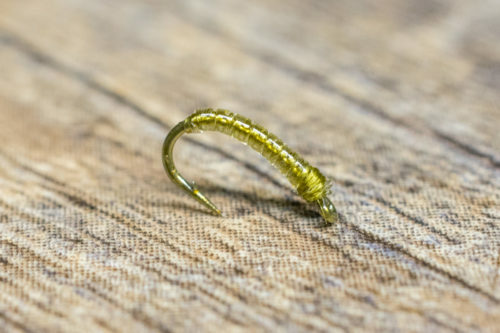 While the original Black Beauty imitates midge pupa extremely well, the addition of a clear, silver-lined glass, Mercury bead provides an even more realistic imitation of an emerging pupa. 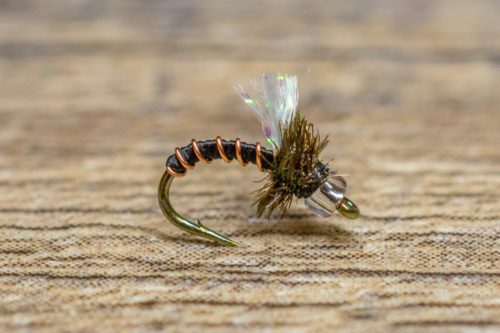 As the emerging pupa makes its way toward the surface, a highly reflective layer of trapped air beneath the outer layer of nymphal skin becomes a very attractive treat to feeding trout. Adding a piece of pearl Flashabou to the top of the Mercury Black Beauty will also increase its effectiveness as it magnifies the natural translucency of an emerging midge’s abdomen. The extra dash of flash seems to account for more strikes, especially on tailwaters that receive a lot of fishing pressure. The tungsten Flashback Black Beauty has a similar effect, but it has a quicker sink rate which makes it ideal for dry and dropper rigs. I hope you enjoy fishing the Black Beauty and its variations as much as I have over the years. The Black Beauty series is a must-have for any serious Tailwater Junkie!